If there is one emotion that games can capture better than any other medium, it is wonder. What does that button do? Where do I go now? What happens if I go this way? That sense of awe and delighted confusion as a player wanders through a world she doesn’t quite understand–but a world she desperately wants to learn more about. Braid was wonderful. Limbo and Fez were wonderful. Telsagrad is wonderful. You will not find a single line of written or spoken dialogue in Teslagrad’s five hours, yet Rain-Games still manage to tell a story that is dark, yet touching. Chased out of his mother’s home by a group of thugs in red jackets and ushankas, a young boy flees to an immense, abandoned tower. It turns out our nameless hero is the last of the “Teslamancers,”and has techno-magical powers via special equipment he’ll find in the tower. Story elements litter the environments, waiting for the player to find them. Sometimes they’re simple, like a broken statue or chalk scrawled onto the wall. Sometimes they’re complex, theatrical productions. 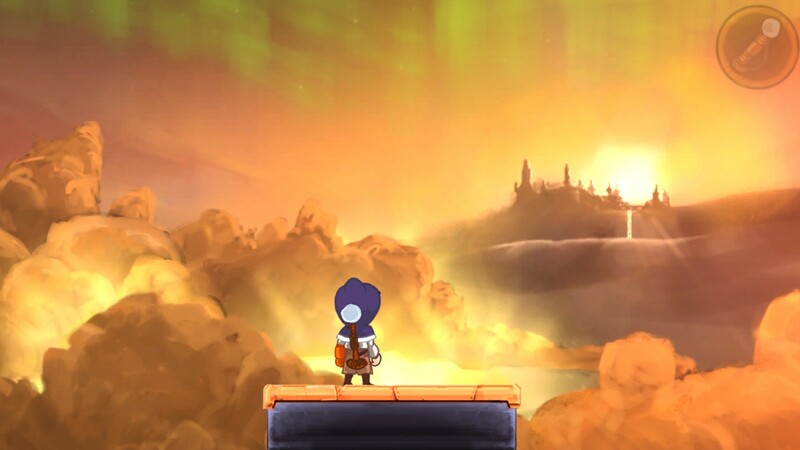 I don’t want to spoil much–discovery is a huge part of what makes Teslagrad so engaging–but Rain-Games’ use of the environment to convey a sense of history is breathtaking. Teslagrad’s puzzles largely make use of one simple mechanic: magnets with opposing polarities attract one another, while magnets with like polarities repel one another. This simple maxim is the basis for solving nearly every puzzle–though Rain-Games dropped the conventional positive and negative polarities in favor of a visually appealing red/blue system. The puzzles are generally clever, though easy enough that the player never gets stuck. Completionists looking for a challenge can solve harder puzzles in search of hidden items. What’s amazing is that the music and sound design are almost as good. The soundtrack relies on harps and echoing violin melodies to create a sense of melancholy, and while no individual song stands out quite like, say, “Build That Wall” does in Bastion, each feels appropriate to what is happening on screen. The sound design is magnificent, though. From the clang of two magnets slamming into one another to the flapping of the Teslamancer’s coat as he flies through the air, each sound perfectly matches what happens on screen. Teslagrad defaults to keyboard controls, but most players will find that those don’t quite rise to the occasion. I’d recommend plugging in a gamepad for a more fluid experience. Keep in mind that, for some reason, the developers didn’t include a default controller layout– you will have to create a custom control scheme in the settings menu. It’s a puzzling omission in what is otherwise a polished experience. Teslagrad is an exceptional example of non-verbal storytelling, relying on delightfully smooth animation and clever puzzles to see the player through to the end. Addie grew up near Detroit. After studying Cell Biology at the University of Michigan and spending a year looking into microscopes, Addie decided to volunteer--playing video games. hobbies run from gaming to music (voice, bass, guitar) to rugby. Addie is a strong supporter of indie and low-cost gaming, an area she thinks is underserved by the media.